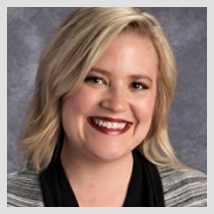 Megan Cox teachers at Blackridge Elementary in the Greater Salt Lake City area. A nine-year teaching veteran, she’s taught Kindergarten, 1st, 2nd and 6th grades. Read on to learn what she thinks would be her perfect walk-on song! Learning new things and new ways to teach. The energy of students. Put in the time now and you will be rewarded for it later. Learning is important but being kind is what matters most. When all else fails, try something new. Having a difficult student. He didn’t learn much but he grew so much socially. He learned respect and how to calm down. He learned that he MATTERS! Make connections and relationships with more kids. Anything else you want to add about yourself? Using tools like MC make our jobs easier. It allows us to focus on the kids. What their true needs are and it allows us to think outside of the box. Check back often to meet other amazing educators in the MasteryConnect community!